Read this review for real-life feedback. 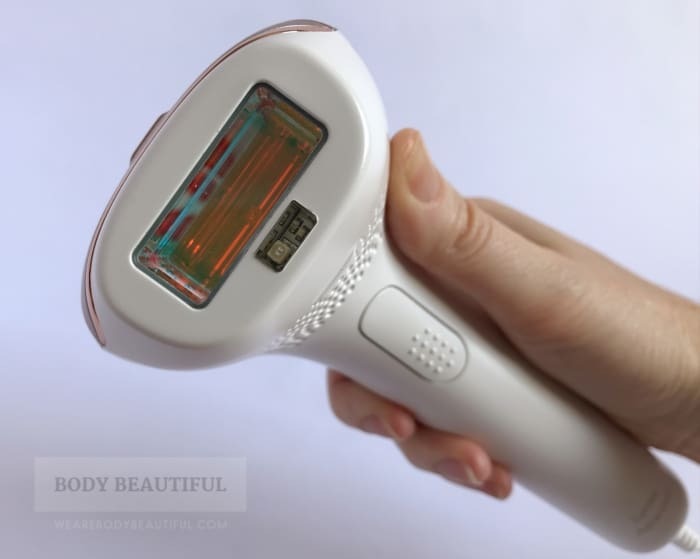 I’ve tried and tested the Lumea Advanced. The flashes will give you 15+ years of full body treatments. It’s one of the best available. All the basics I expect, plus an intuitive gun-shape design that’s precise and comfortable to use. I like the specialist bikini attachment for best results. Great for treating smaller areas, or splitting legs & large areas across days. A full leg takes from 14 mins. Expertly, trusted and prompt advice, a helpful treatment calendar App with ‘how to’ guides. And a reassuring 100-day money back guarantee from Philips. Loads of love for the lightweight, gun-shape and mains-power operation. Very few negative comments. Budget range: ££ to ££££. Usually available in the mid-range it’s a quality choice that’ll last for years. 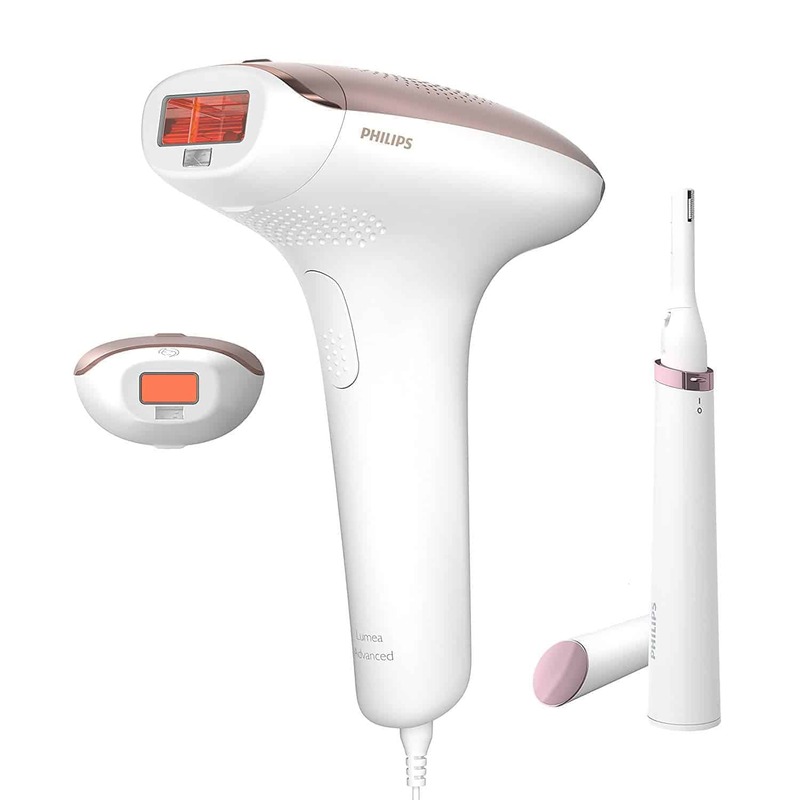 The Philips Lumea Advanced uses Intense Pulsed Light (IPL) that’s safe for use at home on the body and face. It slows and reduces hair regrowth after each treatment. Eventually your hair doesn’t grow back and periodic top ups are required less frequently to keep your skin smooth and hair-free. Safe to use on light to medium skin tones (Fitzpatrick skin types I to IV). Not safe for the dark and black skin (types V and VI) or on dark freckles and moles. The first model in the Advanced range launched in 2013. The models have CE certification to meet EU safety standards. They don’t have FDA clearance yet. You’ll need about 4 to 5 treatments (taking 8 weeks) to see significant hair reduction results. Follow this up with top up treatments to stay hair-free and smooth. The longer you’ve used it for should mean you need less and less frequent top-ups. The Lumea Advanced range is the less costly cousin of the Lumea Prestige. Although it doesn’t have all the unique features of the Prestige (like the advanced skin tone sensor, cordless operation and curved window attachments), it’s still a fine, quality choice that will do the job and last for ages. 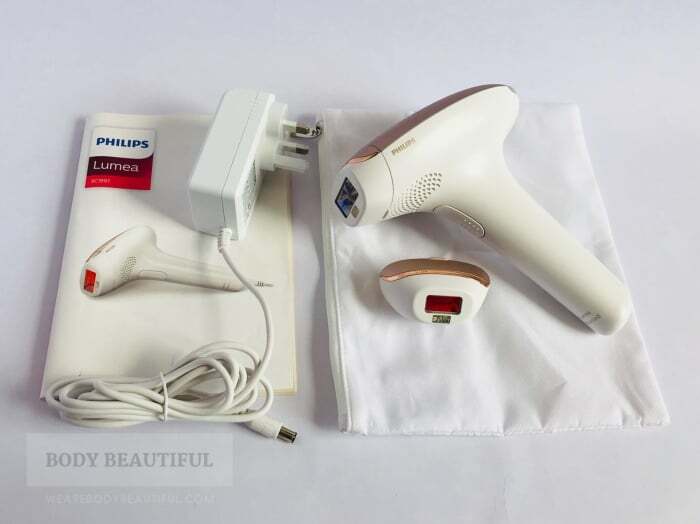 Or keep reading and learn more as well as your alternatives in my full Philips Lumea Advanced review. 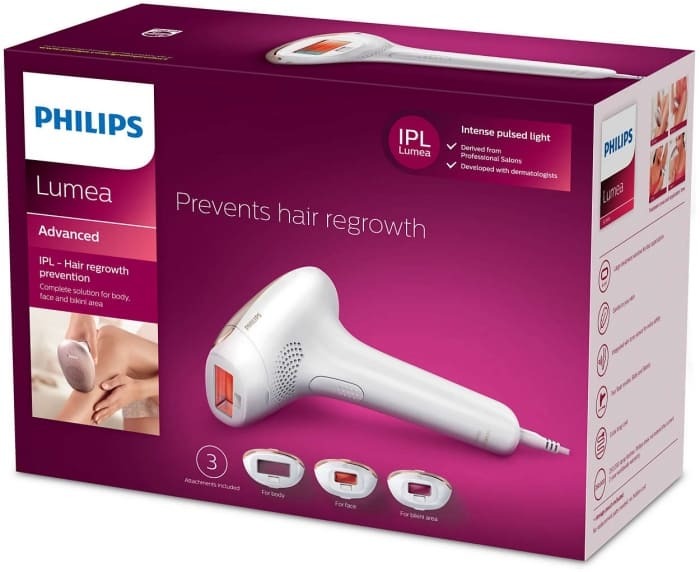 Is the Philips Lumea Advanced good value? Yes. 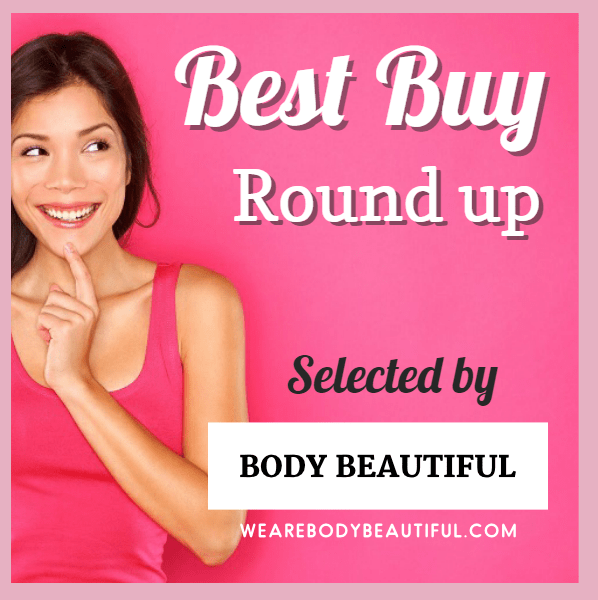 The latest Lumea Advanced models are some of the best out there. The Lumea Advanced provides exceptional value for money and more treatments than you’ll likely need. 250,000 flashes combined with the 4 cm2 body treatment window means you can treat a total body area of 1,000,000 cm2, or 200+ full body treatments for 15+ years of use. They both provide a minimum of 250,000 flashes. Combined with the 4 cm2 body treatment window that means you can treat a massive 1,000,000 cm2 total body area. This makes them a great choice for full body or large areas like back, torso or legs. You’ll get loads of treatments and be able to maintain your results for years to come. 1,000,000 cm2 provides over 200 full body treatments (full legs, bikini line, underarms and face). That’s enough for your initial treatment regimen and then 15 years of monthly top-up treatments so it’s a great investment. The Lumea SC1999 and the SC1997 both offer excellent value for money and beat most other devices out there too. Just like their cordless cousins the Lumea Prestige, you could share it and still get several years of regular use. N.B. 15 years of use is based on the bulb life only and doesn’t take into consideration general usage, wear and tear that effect how long the machine keeps working. 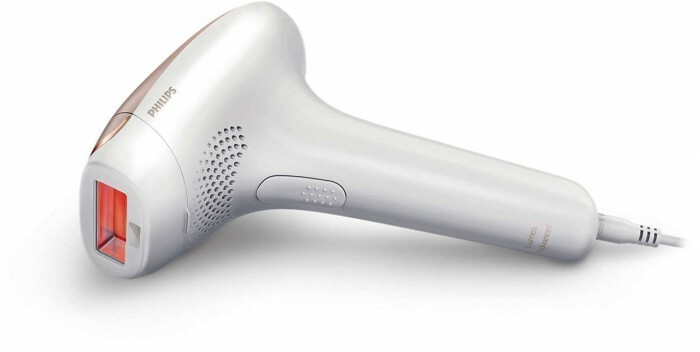 Is the Philips Lumea Advanced easy to use? The Philips Lumea Advanced is packaged in a small neat deep pink box. It’s well designed with concise and clear key information shown on the outside. Simple icons note the key features, the safe skin tones and hair colours are shown, and the treatment windows you get with the model. Inside, it’s all just as neat and well thought through. The device and attachments are protected in moulded plastic, the power cable, user manual, cleaning cloth and pouch below it. It mostly made of recyclable cardboard. The Philips Lumea Advanced comes in a small, neat box with suitable skin and hair colours noted on the outside. Other medical conditions, diseases and photo-sensitivity causing medications are listed in the user manual – check before using! 2 cm2 precision / facial attachment. The contents of the Philips Lumea Advanced are packaged securely and neatly. The pouch is quite thin so I keep the cardboard box to store it in. The Philips Lumea Advanced wouldn’t look out of place in Captain Kirk’s hand on the set of Star Trek. It’s gun-shaped and about the size of a small hair dryer, with a playful, retro feel about it. The handle and underside are white with a dusky rose-gold top and matching glossy trim. It looks feminine and sophisticated, neat and classy. And I like how the air vents on the top make a pretty flower pattern too. The Lumea Advanced has a great gun-shape design that fits comfortably in your hand. It looks feminine and sophisticated, neat and classy. And I like how the air vents on the top make a pretty flower pattern too. To get fully acquainted with it read through the user manual. The user manual is clear and easy to follow. It runs through how IPL works, suitable skin tones and hair colours, the various bits of the device and attachments, care and cleaning, important guidelines about tanning, using the Lumea Advanced and troubleshooting problems. Start by reading the user manual to get acquainted with the device. Take time to review the cautions and contraindications to check it’s safe for you to use. Be sure to double check the list of contraindications for important reasons you should not use it (such as certain medical conditions, diseases and medications you are taking, tattoos, varicose veins and skin conditions). As with all home laser and IPL devices it’s important to follow the guidelines on tanning and sun exposure. Philips advise you to stay out of the sun for 2 weeks before a treatment, and to avoid the sun and tanning for 48 hours after your treatment. You must cover up or use a sun screen SPF 30+ on your treated skin for 2 weeks after your treatments. These guidelines mean you should avoid tanning altogether during your initial treatment regimen. There’s more on tanning and sun exposure here. Choose your intensity level and do a skin test first! You need to choose one of the 5 intensity levels based on your skin tone / type. 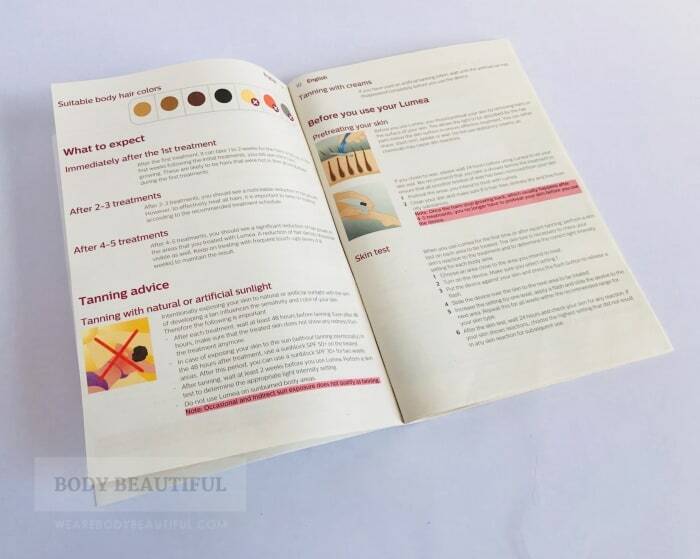 There’s a table in the manual to help you check your skin type based on your skin tone and how it reacts in the sun. For each skin type the manual recommends the maximum intensity levels you can safely use. It’s pretty simple to see which levels you can use. 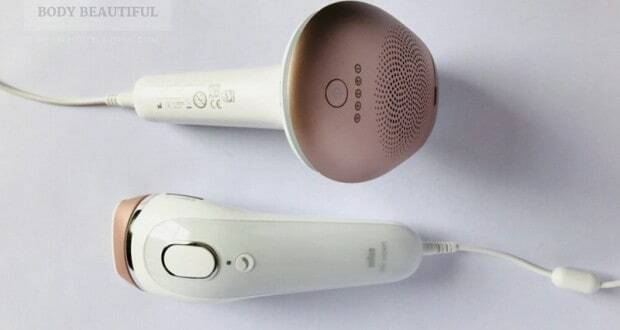 Push the power cord into the bottom of the handle and then press the power button to turn on the Lumea Advanced. The first intensity level lights up white. Press the power button again to cycle through the intensity levels. Next, do a skin patch test at each of your suitable intensity levels, and on each body part you’re treating. If after 24 hours your skin is all good, you can use the highest level that was comfortable for your full treatment. Follow the instructions in the user manual. There’s also the extra safety benefits of the integrated skin tone sensor. If the sensor detects a skin tone that is too dark it won’t flash. This is added reassurance for some, especially if you have different tones on different body parts or tan throughout the year. However, if this is a big concern, you’ll find other great devices are better suited to darker skin tones. There’s more on the skin tone sensor later. It’s very simple to get started with the Lumea Advanced. Shave before your treatment and make sure you have clean and dry skin. Shaving first is recommended but you can epilate or wax if you prefer, but wait for 24 hours after. This gives your skin enough time to rest and for the hair follicle to grow a bit so the IPL has something to target. Set yourself up. You’ll need to be near a power socket. Try using an extension cable so you can choose the most comfortable area, like your bed or close by to a mirror. Make sure you are in a well-lit room and the flashes won’t seem too bright. Plug it in and simply press the power button to cycle up through the intensity levels. Gently press the window to your skin and check your skin tone. Hold the device at a right angle so the flash window is completely against your skin. When the ‘ready’ light shows white on the back of the gun you can press the flash button. I tested the Lumea Advanced on my legs, bikini line and face and this is how it went. 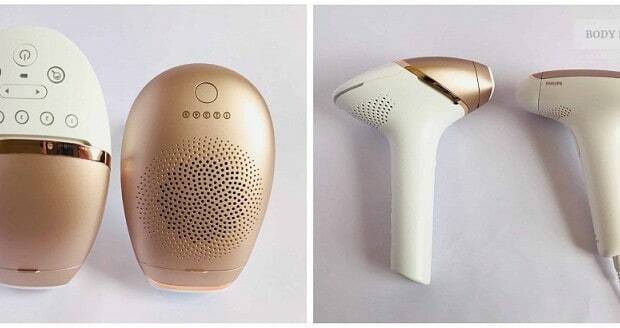 The Lumea Advanced feels good to hold, not too heavy but not delicate or flimsy at all. The tapered handle provides a natural grip and my index finger rests easily on the trigger button. The power cord fits snug and secure in the bottom of the handle and is very long at around 192 cm. The Lumea Advanced has a gun-shaped design. The controls sit on the top so you can”t accidentally adjust the intensity level. It’s ergonomically designed so it’s very easy to manoeuvre and you can see where the flash window is positioned. The power cable fits snug in the bottom of the tapered handle and doesn’t get in the way. 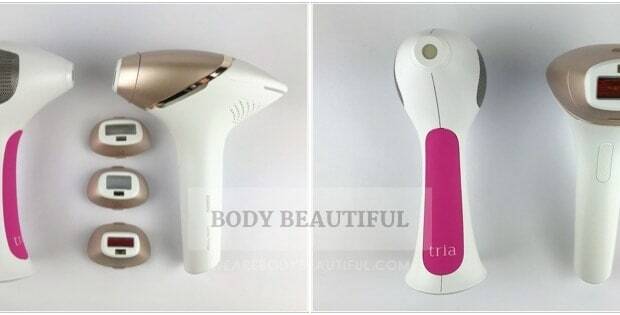 The trigger button is easy to find on the Lumea Advanced. It has raised braille-like dots so you can feel it with your finger. The gun-like grip means there’s no stress on your grip as you press the button. The skin tone sensor, just below the larger flash window, checks for a valid skin tone before the first flash and regularly throughout your treatments. It won’t flash if your skin is too dark. You get a skin tone sensor. It checks your skin tone at the start and regularly throughout your treatment and if your skin is too dark the ‘flash’ light on the back of the device shows red and it stops flashing. The ‘Ready’ light on the back of the device shows white if a safe skin tone is detected and you have good contact with your skin. It shows red if it detects a skin tone that’s too dark for safe treatment. It’s easy to see the ‘ready’ light when you position the device against your skin. The sensor won’t tell you which intensity level to use, you still need to choose that yourself. But it’s a reassuring safety feature to have, especially if your skin is darker in places or you tan throughout the year. However, if you suspect your skin type is unsuitable you should try an alternative device. Around the treatment window are contact sensors to prevent accidental flashes. If you don’t have full contact with your skin it won’t flash. This means holding the gun at a 90-degree angle to your skin to cover the contacts. I found it comfortable and easy to hold with just the right pressure against my skin. All models come with a 4 cm2 body window attachment, and a smaller 2 cm2 precision or face attachment. This has an additional red filter so it’s gentle on more sensitive areas like the face. It’s also easier to position on bony and uneven surfaces than the larger body attachment. It’s helpful for toes, knees and ankles, but especially so on the upper lip and chin where you need to get even coverage and protect your lips too. All Lumea Advanced models come with a 4 cm² body attachment and a 2 cm² precision / face attachment suitable for the face and smaller areas. The Lumea SC1999 and BRI923 also have a 2 cm2 bikini attachment. Bikini hair is coarser and more stubborn than other body hair and flashes in this area can sting a bit. Using a lower intensity level helps but this then has a lesser effect. Philips therefore designed a specialist bikini attachment. It has a special filter that makes it comfortable to use a higher more effective intensity level when compared to the body attachment. The Lumea Advanced BRI923 and SC1999 have 3 flat treatment windows. Icons on the face and bikini attachment tell them apart. Like all modern devices, the Lumea Advanced comes with 2 treatment modes; a stamping mode and a continuous flash mode. For Stamp & Flash you press and release the trigger for one flash, then re-position and repeat. It’s best for bits that need a bit more care. For Slide & Flash you keep the trigger pressed and after each flash slide it across your skin to the next position, and repeat. This is more comfortable for treating larger areas. Contrary to the imagery and videos, I prefer holding the device sidewards and working in rings around the contour of my legs. That way it’s easier to keep track of where I’ve flashed. Both modes are easy to use. Between each flash, you need to move the attachment head with just the right amount of overlap so the flash window lines up with the previous position. It treats only skin directly in front of the flash window so it pays to concentrate and get this right for the best coverage. It’s easy once you get the hang of it. The ‘Slide & Flash’ mode was good for treating my legs. I had to wait a few seconds between flashes, but it’s easy to get into a good rhythm – just wait for the flash, slide along, ‘flash’ then slide, ‘flash’ etc. Without it, treating my entire legs with Stamp & Flash mode would be very tedious! Reaching some areas is tricky, like the backs of your knees and upper legs, and involves twisting and turning in front of a mirror. The gun-shape helps because it provides great grip and extra reach when I needed it. The power-cord didn’t cause any notable problems either. It’s long enough and easy to work with once you find the best way to reach all the necessary areas. I prefer holding the device sidewards and working in rings around the contour of my legs. That way it’s easier to keep track of where I’ve flashed. So how quick are the treatments? 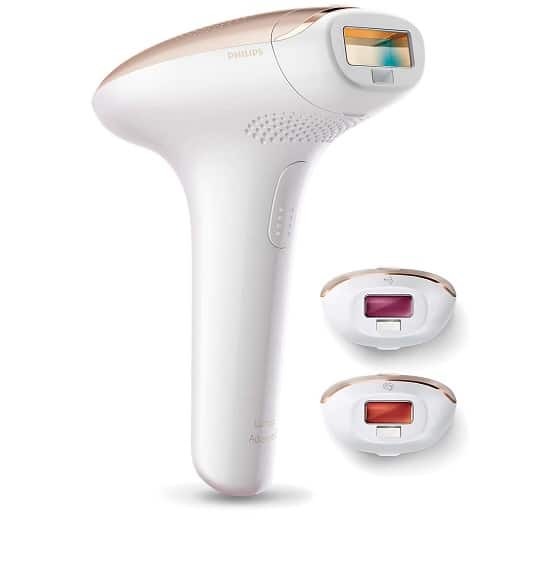 The Lumea Advanced has a very large 4 cm2 body treatment window and it takes up to 3.5 seconds between flashes. This means it can cover 120 cm2 (a pair of underarms) in about 1:45 mins. This matches the older cordless Philips Prestige Sc2009 / Sc2007 models and compared to other devices these times are good. Philips advise it takes about 14 mins per full leg. That’s about right. It took around 30 mins for 2 full legs on level 4, using the precision attachment on knees, ankles and toes. The flash rate is slowest on the higher intensity levels so, although it is most effective on the higher levels, you can compromise and use a lower level if time is short. According to the user manual, the total time to treat full legs, bikini line, armpits and face is 36 minutes. Realistically it was over an hour for me. It got uncomfortable and dull towards the end too. Read on for a helpful full body treatment tip. The Lumea Advanced models are mains-powered. This means there’s no battery to charge so you can treat as much of your body as you want in one sitting. However, it takes time and it does get tiresome after a while. Finding a helpful assistant is the ideal scenario here. It’s more efficient and much more comfortable – for you at least! But if you have to go it alone, try splitting your treatments into 2 sessions, lasting around 30 mins each. Full legs in one session and bikini line, armpits, face etc in another. This way you can concentrate on getting the best coverage possible, and not on how long it is taking. It’s all about the smooth skin results after all! If you want something faster, choices are available from Philips, Smoothskin and Braun where you can treat a full leg in under 10 mins. Keep reading to the alternatives section below for more information. 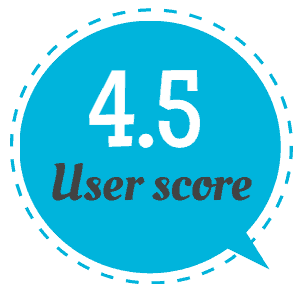 The overall score is an impressive and reassuring 4.5 stars from the collated online Philips Lumea Advanced reviews. First up, let’s cover off what the reviewers don’t like. There’s not much to say here. There aren’t any low 1 or 2 star ratings. A few neutral 3 star ratings came from people who were unsuitable to use it and couple more who hadn’t or were just about to start using it. The bulk of reviewers left 4 or 5 star ratings. Loads of online reviewers love that the treatments are painless, straightforward and easy. Some comment that the treatments are quick, and others that they are time-consuming. This obviously depends on where it’s being used and the reviewers’ expectations. They love the lightweight and comfortable to hold gun, and only a few reviewers think a cordless design would be better. 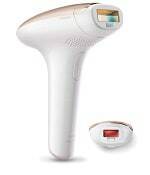 In fact, many reviewers specifically say they chose the Lumea Advanced because it is corded and not battery-powered. They prefer a mains-powered operation so they don’t need to worry about the battery running out during their treatment. A few mention it takes time to get the intensity level right on different body areas. They suggest simply starting on a lower level and moving up to a level that is comfortable. They report great results too. The regimen is a treatment every 2 weeks for the first 4 to 5 treatments, so that’ll take 8 weeks to complete. After treatments 2 and 3 you should start to notice some reduction, and after treatments 4 to 5 the reduction should be significant. Follow this with regular top ups at 4 to 8 weeks, or when you see hairs growing back. This guide is realistic based on online feedback. For some it took just a few treatments to see softer, slower and patchy hair regrowth. Many needed to shave only just before their next treatment, and then eventually didn’t need to at all. Best results come once the regimen is complete, and periodic top up treatments keep skin hair-free and smooth. The reassuring online reviews love the Lumea Advanced. But is one model better than the other? All models have the same excellent design, features and performance. 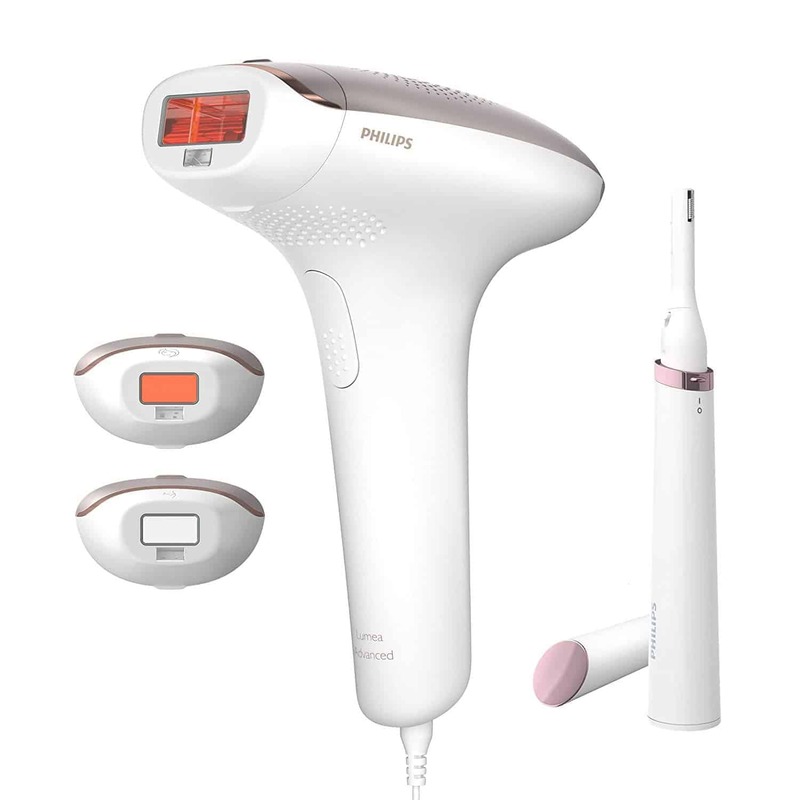 The only differences are the specialist attachments with each, different prices and the latest models come with a Philips Satin Compact Facial Trimmer. The bikini attachment comes with the BRI923 and BRI921. you don’t need it, but check prices of the models to help you decide. The BRI923 is a the same IPL as the SC1999. They both have 3 attachments for face, body and bikini. You get a Philips Satin Compact Facial Trimmer with it. The BRI921 is the same as the SC1997. They both have 2 attachments for body and face. You get a Philips Satin Compact Facial Trimmer with it. Think of the bikini attachment as an optional extra. It’s designed to be more comfortable and effective than the body attachment. But it’s still safe to use the body attachment or the precision attachment on the bikini area. So how much extra cash is it worth? Anything more than £50 difference is hard to justify the benefit of the bikini attachment. So check the offers and then decide if you need the extra attachment for the difference in price. The Satin Compact Facial Trimmer is a nice bonus, especially if you’ll be zapping chin whiskers or your ladytache. But if you aren’t bothered, you can find clearance offers for the SC1997 and SC1999. You could grab yourself a bargain. 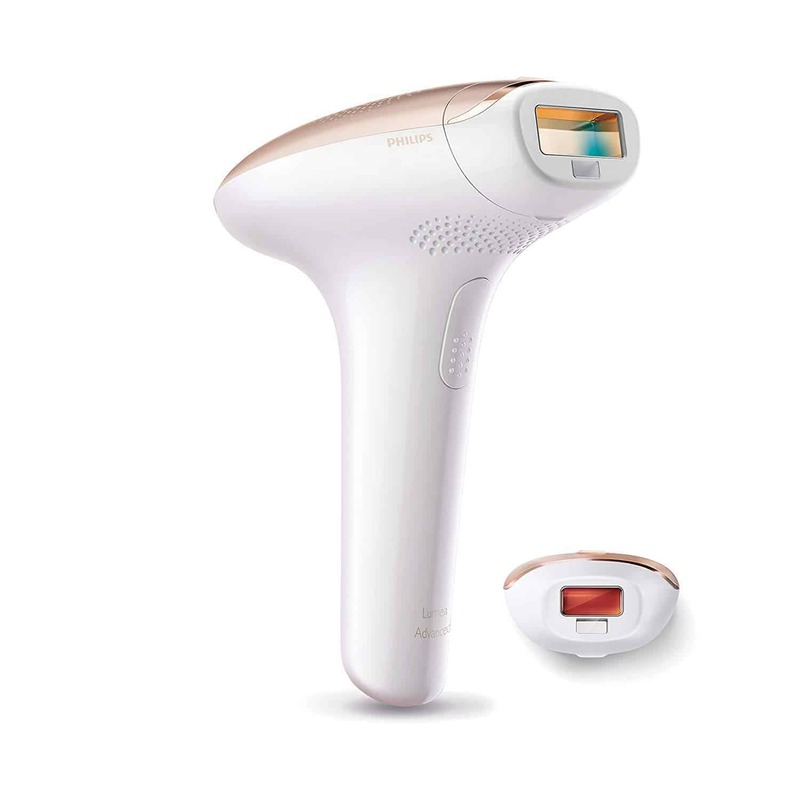 Net, a quick recap of the pros and cons discussed in this Philips Lumea Advanced review. Should I buy the Philips Lumea Advanced? Yes. If your skin type is safely within the suitable range (I to IV) I think it’s a very strong mid-range choice. It looks pretty too. 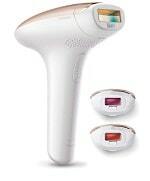 Loads of reviewers choose the Lumea Advanced precisely because it’s the less costly cousin of the very desirable Lumea Prestige model. Be sure to compare prices for both before you buy. You can check prices or buy the Lumea Advanced using the links below. 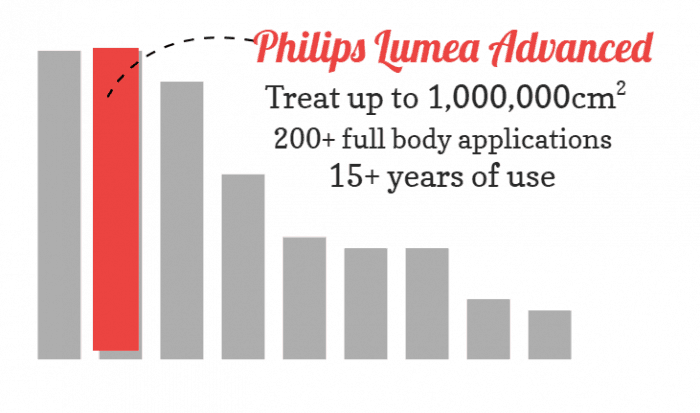 Philips Lumea Advanced - All with Philips Lumea 100 day money back guarantee. Buy from CurrentBody.com: UK & Global shipping options. Hungry for more!? 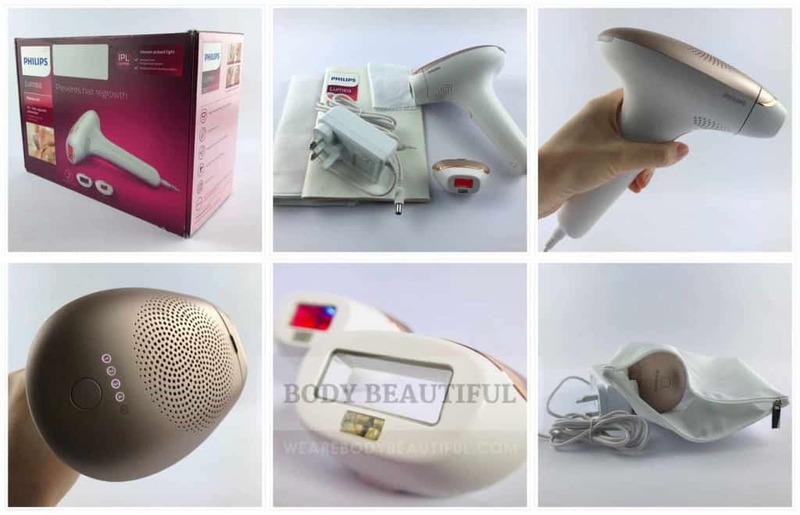 Check out how the Lumea Advanced compares to other choices here.